Originally from Chicago, mezzo soprano Gretchen Windt has performed in operas and oratorios throughout the country. She was an Apprentice Artist with Sarasota Opera including mainstage performances of Die Fledermaus (Ida). She was an Apprentice Artist with the Utah Symphony & Opera; since completing her apprenticeship, she has returned to Utah Symphony & Opera in concert and stage productions. She was an Apprentice Artist with the Sugar Creek Symphony and Song Festival in Illinois. She was also a Young Artist with the Ohio Light Opera; she has since performed in sixteen productions with the Ohio Light Opera over three seasons. She has performed regularly with Cincinnati Opera; highlights include mainstage performances of Golijov’s Ainadamar (Voice of the Fountain), the world premiere of Hailstork’s Rise For Freedom, and a touring production of The Magic Flute. 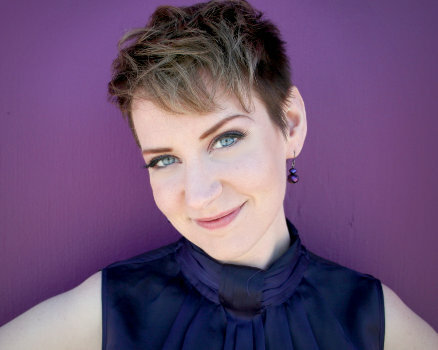 She has performed with Opera Southwest, Chesapeake Chamber Opera, Opera Idaho, and various regional companies in Chicago including Bowen Park Opera, OperaModa, and DuPage Opera Theatre. Internationally, she performed the title role of La Cenerentola in Novafeltria, Italy with La Musica Lirica. Recent performances include Salome (Page) with Utah Opera, Le Nozze di Figaro (Cherubino) with both Opera Idaho and University of Utah Lyric Opera Ensemble, Die Fledermaus (Prince Orlofsky) and The Mikado (Pitti-Sing) with Ohio Light Opera, and the title role in Massenet’s Cendrillon with University of Utah Lyric Opera Ensemble. Additional roles performed and covered by Ms. Windt include Hansel (Hansel and Gretel), Dorabella (Cosi fan tutte), both Third Lady and Papagena (The Magic Flute), Mercedes (Carmen), Meg Page (Falstaff), Jo (Little Women), and Rosina (Il Barbiere di Siviglia). Solo oratorio credits include Handel’s Messiah, Mozart’s Requiem, Vivaldi’s Gloria, Faure’s Requiem, and Bach’s Magnificat. Ms. Windt recently graduated from the University of Utah with a Doctor of Musical Arts degree in vocal performance. In addition, she completed degrees at the University of Cincinnati-College Conservatory of Music (M.M. in voice/opera) and North Park University (B.M.E. in music education/voice) in Chicago, IL.